Hello and thanks for stopping by. 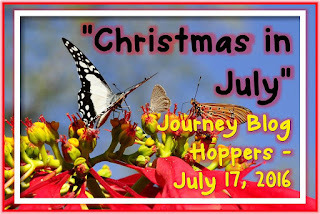 Welcome to our Fun Stampers Journey Blog Hoppers "Christmas in July " Blog Hop! I'm so happy you're hoppin' along! 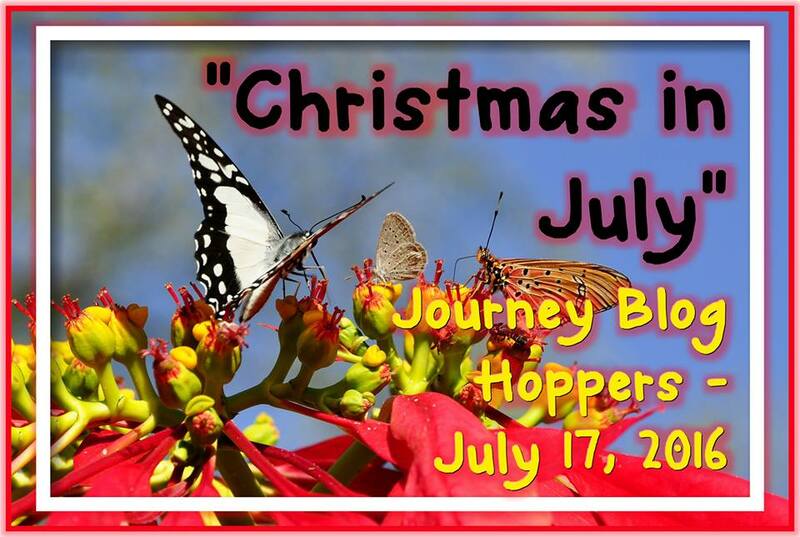 If you arrived here from Ruth Cooper's blog, you're on the right track. If not, that's ok too! Just continue the hop and you'll come full circle! The card base is Whip Cream Cardstock. 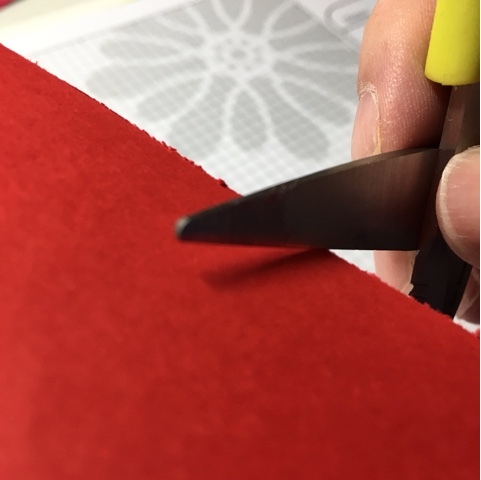 I then took a piece of Cranberry Bliss Cardstock cut at 5 x 4 and distressed the edges with my scissors. I then cut a piece of Cool Pool Cardstock at 4 3/4 x 3 3/4 and used the Winter Wonderland Stencil and Journey Modeling Paste to create the first layer of my background. After, I let it dry overnight, I splattered some Cool Pool Silk over the top. Then I took my Silver PanPastel and rubbed a light coat over the whole piece. I added the two layers to the card and tied a Cool Pool Satin Ribbon Bow around the card. I then tied a Holiday Cord bow on top. The Christmas Tree is from the new Christmas Trim ATS from the Holiday Catalog. I stamped it on Whip Cream Cardstock with Black Licorice ink. I then colored some of the "ornaments" with Cranberry Bliss Silk and Rhinestones. I added the tree to the card using foam squares. I then stamped the sentiment from the Christmas Trim, with Cranberry Bliss ink on Whip Cream Cardstock. I distress the edges with the scissors, then took some more of the Silver PanPastel to the top of this piece. I adhered this piece to the card using the Journey Stapler. Enjoy!